Violinist Michael Heald will take the stage at the next Faculty Artist Series concert March 5 at 7:30 p.m. in Ramsey Concert Hall. 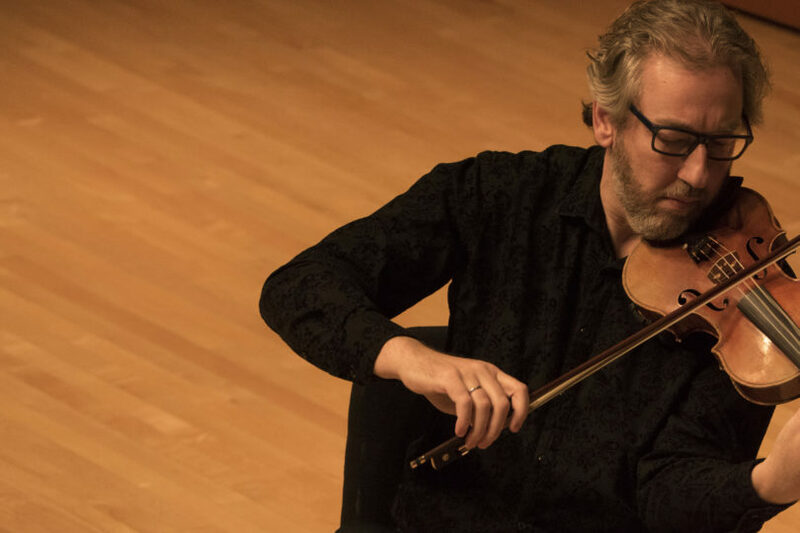 Michael Heald, associate professor of violin at the Hugh Hodgson School of Music, will take the Ramsey Concert Hall stage March 5 at 7:30 p.m. for the next concert in the Faculty Artist Series. Heald’s performance career began in England where he was a member of the English String Orchestra for three years, recording with Nimbus. Among numerous other tours and accolades, Heald has performed many solo and chamber concerts with critical acclaim across the U.S. and Europe, collaborating with many great artists, including Heald’s guest artist for the performance, pianist Timothy Lovelace. Lovelace, a pianist and conductor, holds the Ethel Alice Hitchcock Chair in Collaborative Piano and Coaching at the University of Minnesota. He has performed on four continents and has been featured at Carnegie’s Weill Recital Hall and New York’s Merkin Concert Hall, among others. He will join Heald throughout the program on pieces by Schubert, Walton and Prokofiev. The piece that will evoke the English countryside for Heald, and hopefully those audience members who have experienced it as well, is “Sonata for Violin and Piano” by Englishman William Walton. Tickets to the concert are $12 for adults and $6 for students and children. They can be purchased online at pac.uga.edu, by calling 706-542-4400, or in person at the Performing Arts Center box office, located next door to the music school. Those unable to attend can watch the concert live on the Hodgson School’s website at music.uga.edu/live-streaming. The Hugh Hodgson School of Music at the University of Georgia sponsors more than 350 performances each year. Go to music.uga.edu to view the school’s performance calendar and subscribe to the weekly email newsletter to learn more.